Keep a diary and some day it’ll keep you. -- Mae West. The blizzard which has engulfed New York has abated a little although snow is still piled over parked cars and a flesh-freezing wind whistles between the tenement blocks. 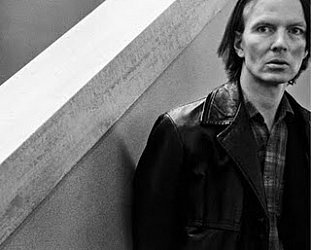 And Jim Carroll - former junkie and rock singer, writer, poet and most recently movie actor on the strength of a cameo slot in the film adaptation of his The Basketball Diaries - has to go out. 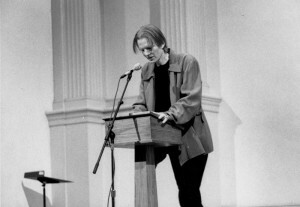 When Jim Carroll talks it is with a cracked hesitancy punctuated by long pauses. Like Lou Reed’s New York album slowed to half speed. But yeah, he has to go out, like, in maybe 10 minutes but ahh . . .
Or he's laughing about that cameo where he plays a strung-out junkie like some Italian hipster he knew as a kid: “I just wish they’d lit me better. I look like I just rose from the dead. I did another scene I liked better which was the original ending, me doing my David Caruso impression!" And that’s Jim‘s world. 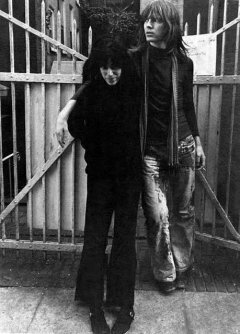 Patti Smith and Lou Reed are longtime friends, he walks through gallery openings and the hip film crowd, has just seen another of his pieces (“just a 12-page story”) made into a feature film which won awards at Toronto and Berlin film festivals, is writing the outlines of a couple of novels and turning down more cameo roles. But it wasn't always so as the journal of his youth, The Basketball Diaries -- a wired Catcher in the Rye, excerpts of which were first published in the influential literary journal The Paris Review in the late Sixties – attest. Jim was the Catholic boy who made the team, won a scholarship, sniffed glue, smoked a lot of dope and ended-up with a habit. But through it all he wrote and now, more than 15 years after it was first touted as a film property, the acclaimed The Basketball Diaries has made the big screen. With Leonardo DiCaprio, who bears an uncanny likeness to the young Jim (“That’s what Lou says too, but he’s so sardonic. I wasn’t quite as thin! "), the film appropriates sections of the book into a continuous narrative and weaves a story out of what were adolescent diaries never intended for publication. Carroll likes the film but “I sold the option every year practically so it’s been a nice stipend for me. I feel bad it’s not there now." He laughs like an asthmatic jackal again and the creaking monotone rolls off into yet another stream-of-consciousness anecdote. Carroll is an easy conversationalist and his language betrays his literary leanings. Something was “germane” to the movie, he didn’t “vouchsafe” those high school photos to the movie company and it was “happenstance thing” he was “recording a radio show at the Electric Ladyland studios when Rancid were recording downstairs and so that’s how came to be on their album doing that rap in one of the songs and one of the lines I said was ‘and out come the wolves’ and so that became the title of their album”. It’s hard to believe this creaking monotone full of sudden stops is the same voice that wrapped itself around some edgy if patchy rock’n’roll albums (Catholic Boy, Dry Dreams, I Write Your Name) back in the early Eighties, which mostly catalogued his life in songs such as People Who Died -- a litany of dead friends – which reappears on The Basketball Diaries soundtrack alongside Soundgarden, the Cult, and the Doors. 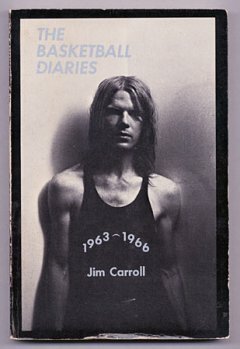 Carroll is the junkie survivor and today, with the book having bounded up the New York Times best-seller list in the wake of the film, he’s in demand again, back out on the college circuit and the occasional rock club doing readings, talking about another rock album he might do with Lenny Kaye because they recorded a few songs together (and with Pearl Jam) for the soundtrack but which didn’t make the final selection . . .
What has ensured the success of the film -- aside from DiCaprio’s mesmerising performance and a strong ensemble which includes rapper and Calvin Klein poster-boy Mark Wahlberg (Marky Mark) -- is its slightly anachronistic timelessness. 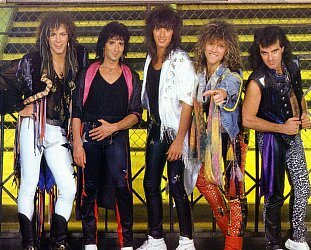 His original idea back in the early Eighties, when a young Matt Dillon was touted as the lead, was to have period music by Dion and the Belmonts to keep it a Sixties setting. “The first time I saw the film was with Lou and it didn’t have the soundtrack and he’d just done a song for that tribute album to Doc Pomus [Till the Night is Gone] and he thought that song [This Magic Moment], real New York stuff, would be good because he thought it was in that period. So there’s not much in the film to pin it in time. He admits he was down on Marky Mark at first but the controversial rapper (who has sounded off about gays in the past) auditioned seven times “so I thought I shouldn’t hold his paraphernalia against him . . . and Leo didn’t like him much but now they’re great old buddies. “But the performances are great. I talked a bit to Leo but said nothing special. They had some drug guy -- who I actually knew, he used to be a roadie for the Blue Oyster Cult -- and he was telling Leo what to do in the drug scenes." But if Carroll has an objection to anything in the adaptation it's the moral agenda about drugs, something neither his book nor music have ever done. Promotional video interviews with the actors show them advancing the anti-drug message too. “I liked the screenplay on paper and made a few changes and what I liked best were the voice-overs straight from the book. But then they changed the ending. “The original ending was shot in New York but then they flew Leo and people out to LA for that whole poetry reading and he read a different piece. It just became too much of the drug cautionary tale thing and they assured it wouldn’t be like that, just neutral like the book. But I didn’t have any power at that point. “I saw a lot of possibilities in Ernie Hudson’s character [as the black hoop-shooter who attempts to cure Jim in an enforced cold turkey] because he was interested in writing and the film didn’t show the development as a writer. It misses a big part of the book. Every screenplay I’ve seen had some flaws, they concentrate on the early years or the later years and Catholicism, most all have concentrated on the fish-out-of-water aspect of getting a scholarship to the exclusive private school . . .but they didn’t use that in this! They made it like I was in Catholic school all the time. The film works best when they left the camera on Leonardo and the cast. “And my writing and song lyrics basically are very ethical in a certain way and I've always felt you could find some purity inside the worst degradation, some sense of light. But as far as the heroin thing, when I was writing I was so young I couldn’t make any moral conclusions. I was just writing down what happened and I think that's the appeal of the book . 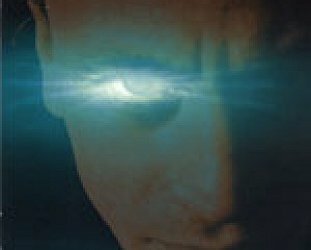 . . but it’s not unusual a film adaptation takes on some moral aspect. “It surprised me though because that was a really big thing they weren’t going to capitulate to that. It’s always been a problem because the end of the book is very literary with him just looking out his window after his three day run where he has his first habit. “I guess you have to tie up the ends, like walking down the street or die. I thought it would have been better if they’d killed me off." He cackles again and gets an even bigger laugh out of the film’s promo tag “the death of innocence and the birth of an artist”. 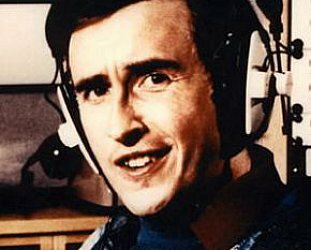 “I was in a movie theatre when they played the trailer and they used that line and said ‘this is about JIM’ in this big stereo surroundsound. My friends just had hysterics. As one who has seen himself marked before -- CBS Records tried to sell him as the authentic voice of New York's rock’n’roll mean streets for those albums – he is cynical about the promotional trailers for the film which variously present the movie as either A Hard Day's Night (lots of running freely down the street), a hippie trip (one trailer snips out the sole psychedelic scene) or a teen movie (DiCaprio and his buddies joking it up). But Carroll freely admits to long ago having given away attachment to the book, the film and the young boy that was once him. He refers to the boy in the book in the third person and how works of art stand on their own, he says, outside of their creator. 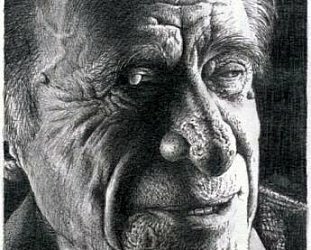 They take on an independent life over which the artist can have no further control. It’s like a painting, he says . . . and, before embarking on another analogy or illustrative anecdote, is reminded that he has something he should be doing. "Oh, yeah, I gotta go to this art opening, gotta meet my friends, Harmony and Chloe, like ahh, you know . 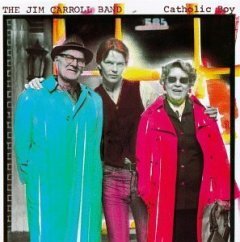 . ."
And Jim Carroll’s back on the streets. 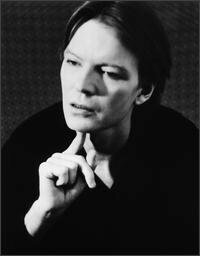 Jim Carroll died in September 2009, he was 60.